The yard was established and the first dock was built be James Lovewell. 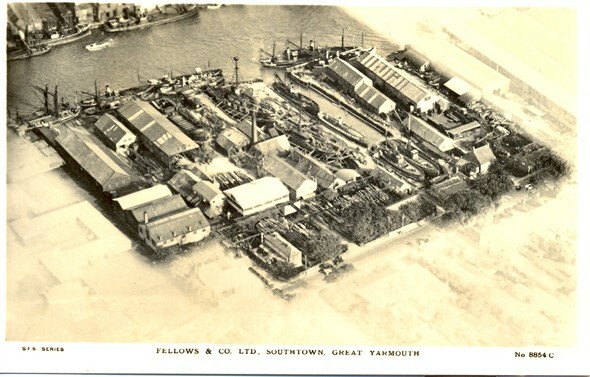 After his death in 1824 the business passed into the hands of the Fellows family. In later years the company was owned by the coastal shipping firm of FT Everard & Sons Ltd. 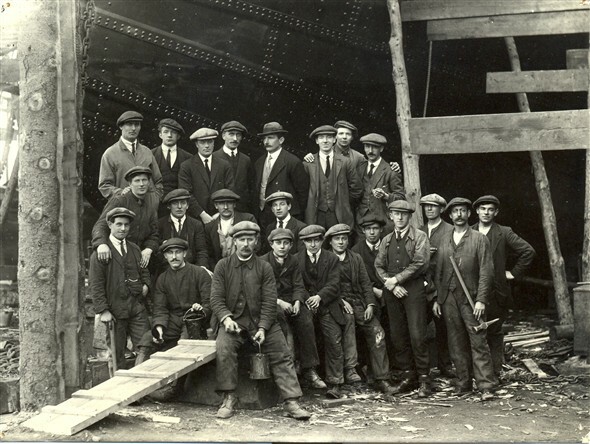 The yard was sold to Richard (shipbuilders) Ltd in 1970 and is still open for business today. The site has changed little over the years; click here to see photographs of the shipyard in 2007. This page was added by Laura Matthews on 15/06/2007. 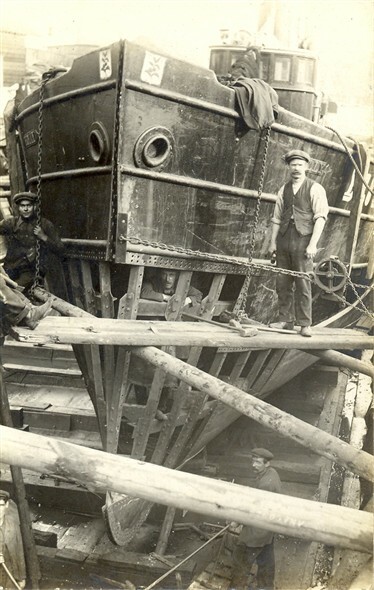 Hello, I have been researching my family history,and my ancestors started off ship building in Barking Essex, but came to Yarmouth later on, to build smacks. My 4x GGrandfather was called James Morgan, he was connected to The Hewitts and Harveys. 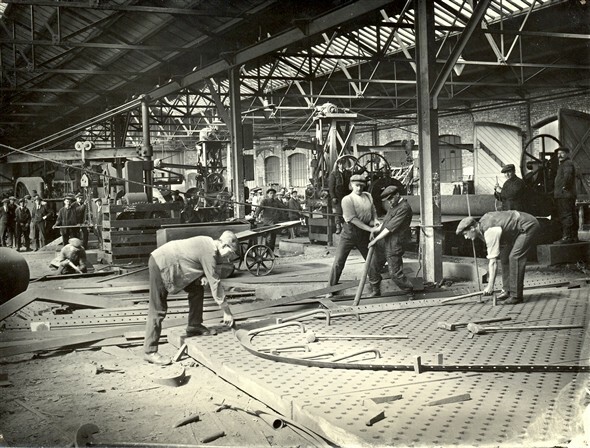 My GGrandfather was Thomas Gowland Morgan, he came to build smacks in Yarmouth, in the 1800s. I was very interested in the photos above, but I think they are a lot later than my ancestors. I am still looking for anyone who would know any info on my family, or anymore information on my ancestors. It was interesting to see this page. My grandmother was Sheila Mary Fellows (I believe it was her grandfather who bought the yard, but I am not sure). As a child I remember sleeping in a front bedroom of her house (75 Southtown Road - her brother, William Manning Fellows lived next door at 76), from where I could look at the yard (on the opposite side of the road): this would have been in the early 1960s. Thank you for displaying the photos. I sailed on Continuity/Seriality/Fred Everard and Penelope Everard, some of the days I’ll never forget. You needed an engineer to get the windless going. The steering chains ran by no. 2 galley, toilet ran off two tanks, which the 2 early watch boys had to pump up night in port meant paraffin 10 pm, that was continuity to me - I loved her. Hi All, I am currently helping to restore a vessel built at this yard in 1935 . She was built under the name of M.V. BRIT for the Longfield Brothers , at this time she is now known as M.V. Coronia and is based in Hartlepool Co Durham. We are searching for photos , crew names, stories and any info on what happened to her drawings when the yard closed . Thanks for your help.